Bacon on the beech: My Ultimate Pizza and Ultimate Burger. 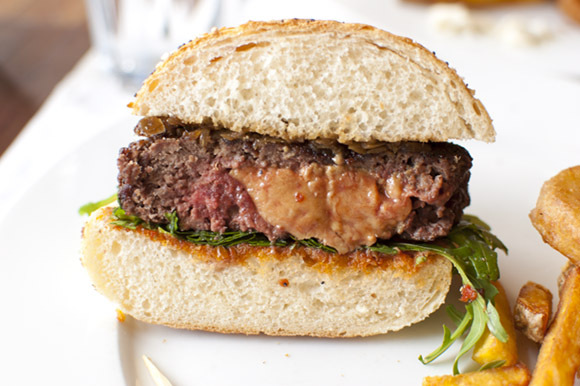 WARNING: IF FOIE GRAS OFFENDS YOU IN ANY WAY PLEASE LOOK AWAY NOW. It was our last day in Prague, and we'd decided against doing a posh buffet in a hotel as planned, we're just not that into buffets and I knew I'd feel awful and bloated on the flight home. Plus it was including as much booze as you wanted, so it could get very messy. We'd eaten typical Czech food, at high, medium and lower level. I was searching on my phone for something else. Then I found restaurant Hergetova Cihelnaon on a local expat blog (we'd already eaten in Kampa Park which is part of the same group and very good it was as well.) So although a decent restaurant, there were two items on the menu that sparked my interest and that were apparently the dishes to go for. They did a Foie Gras Pizza and a Foie Gras Burger. I had to persuade Mrs Bacon to go, as although she loves Foie, she wasn't sure if it'd work. I said I'd pay. We were in. The restaurant is on the other side of the Charles bridge with views over the river. You go past the Kafka museum and an amusing sculpture called Piss by David Černý in a courtyard leading down to the beautiful interior with arches and columns. We bagged a table by the window with a great view of the bridge. 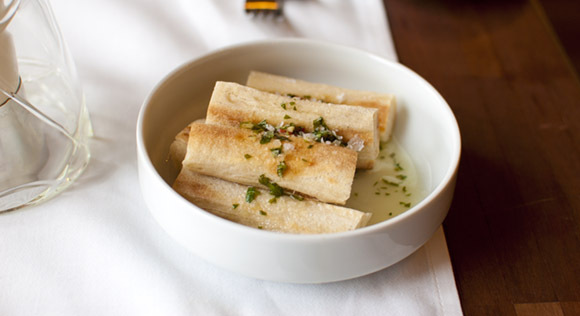 We got free foccacia rolls to start they were gorgeous, crispy but soaked in olive oil, garlic and herbs. This is free! You have to pay about £3 for this in Croma, for a smaller portion! Then the pizza came. It did not disappoint. 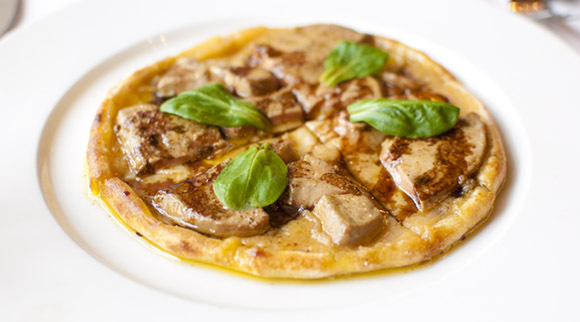 It's ludicrous putting Foie on a pizza, but it really worked. Juicy and rich on top of a nice thin base, it was fabulous. We were glad we'd shared it as obviously it's very rich. Despite eating over a half of it, I begged her for another piece, so she built a little wall with her knife and fork, "You knew what you married into" she warned! I didn't mess with her, she clearly meant business. Foie gras pizza | pear chutney, aged balsamico and mache salad. The Burger Royal (with foie gras, onion compote, truffle mayonnaise, onion rings and home-made fries) was if anything even better, not too much foie, the meat was juicy and the fries beautifully crispy. 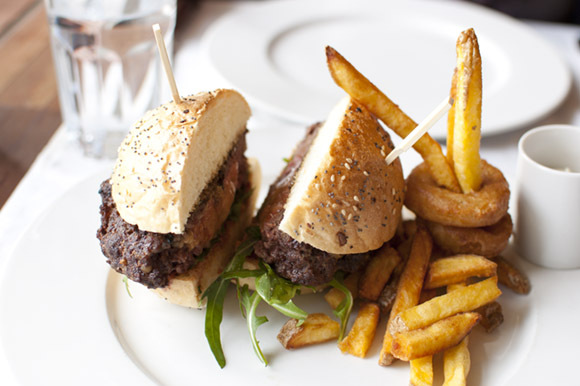 One of the best burgers I've tasted. The dessert was another good choice. 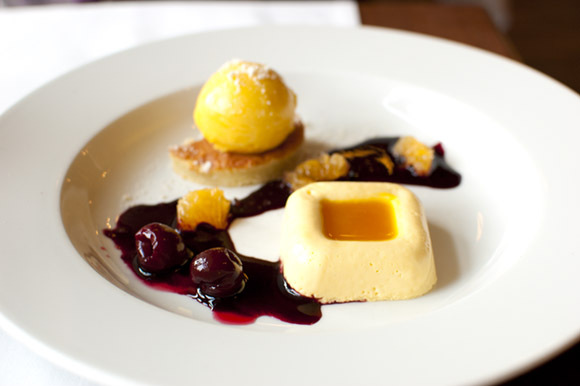 Mrs Bacon declares it her pudding of the year: Tangerine Panna-cotta with Mandarin sorbet. It was a delight. Tangerine Panna-cotta with Mandarin sorbet. Prague scored 5 out of five for us, we had 5 meals and they were all really great in their own way. In fact I would say it's a fine choice as a foodie destination if you choose wisely. I don't feel the need to eat Foie Gras for quite some time though. We paid £45 to share the pizza and burger and dessert plus a few drinks. 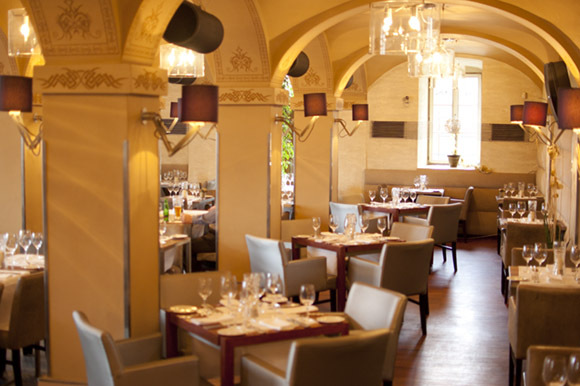 Atmosphere: A Beautiful restaurant with columns & arches. Seats outside in summer with fab views.